Many people only consider the benefit of natural gas when it comes to heating their homes, focusing on these cold months’ energy expenses. But in reality the commodity is used for a number of functions year round, providing opportunities for residents to cut back on energy costs. Since the commodity is usually significantly cheaper than electricity it’s a cost-effective option to take care of residents’ energy needs. According to the U.S. Energy Information Administration’s 2012 data there are more than 66 million residential natural gas customers in the United States. That’s a lot of people who rely on natural gas to fulfill their everyday needs! Take a look at five of the ways residents are using natural gas to power their homes. A lot of avid cooks prefer using a natural gas-powered oven instead of an electric model. It often provides better temperature control allowing for precision in every dish. 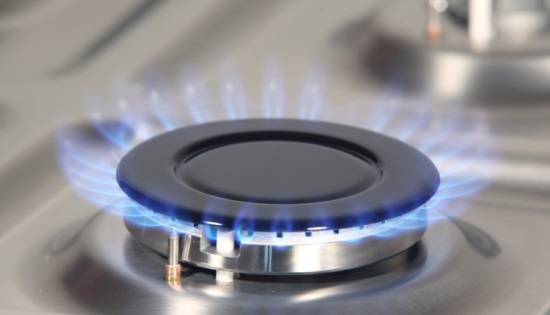 However, accuracy isn’t the only ingredient making natural gas stovetops a good choice; they also use significantly less energy than an electric oven. This is typically because the units heat and cool more quickly. And new models that eliminate the need for an ever-burning pilot in favor of an electric ignition use about 40 percent less natural gas. Homes connected to natural gas often include a hot water heater that relies on the commodity as well. Many people prefer a natural gas water heater because it’s more economical to run. Since the price of natural gas is usually so much lower than electricity, using the commodity for any energy-consuming device will save you money on your energy bill. Natural gas hot water heaters typically range from 20 to 100 gallons to fit a variety of household s. However, natural gas usually heats water faster than electricity, so you may be able to run a smaller-capacity unit. Though natural gas is typically used to heat your home, you can also find gas-powered air conditioning units. The machines are usually more expensive upfront, hindering many from switching to natural gas air conditioning. But shale rock formations supplying large quantities of natural gas and prices for the commodity so low, gas air conditioners are beginning to gain popularity again. They typically require lower operating costs than electric AC units and eventually pay for themselves in energy savings. In addition, a natural gas AC could reduce your dependency on the electricity grid. In the event of a power outage, you could still have working air conditioning! Gathering firewood, cleaning up ashes and dealing with sparks are not your only option if you want to enjoy a nice fire. There are actually natural gas fireplaces that are highly efficient without all the mess of a wood-burning model. With a controllable burner and natural gas logs you can get the same effect of a wood-burning fireplace and more control over the flame. If you need to leave your home or go to bed, simply flip a switch to turn off the fire. In addition, when you want to light the fire again, it can be turned on immediately for instant gratification. If you can’t renovate your existing fireplace to a natural gas-powered model consider purchasing a gas insert. These can be placed in a traditional fireplace to increase efficiency and optimize the benefits of natural gas. Natural gas clothes dryers can save you up to 50 percent in energy costs compared to electric models. In fact, they are so efficient you could do two loads of laundry in a natural gas dryer for the price of one load in an electric dryer. And you can do your laundry faster. Natural gas dryers use a larger quantity of dry, absorbent air, which passes through your clothes and dries them more quickly. With a lifetime burner and automatic shut-off options a natural gas dryer might be the perfect option for a busy family.